Woodstock 50, the 50th anniversary celebration of the iconic 1969 festival, has just announced the lineup to end all lineups, with the likes of Jay-Z, The Killers, Dead & Company, Halsey, Miley Cyrus, Chance The Rapper and more. 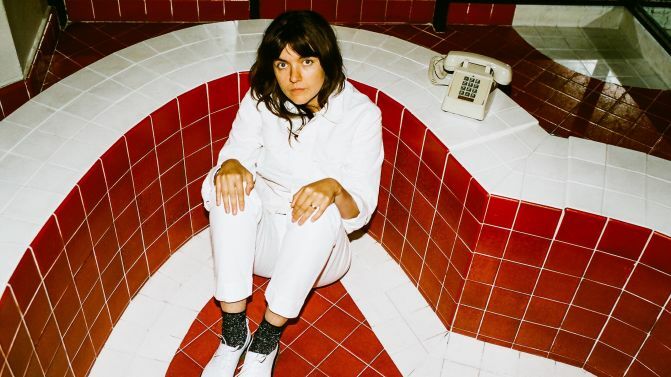 But there are two very special Aussies among the bill, and one of them is Courtney Barnett. Barnett, who just toured the country with St. Jerome’s Laneway Festival, will be playing the festival’s final day alongside Imagine Dragons, Janelle Monáe, Brandi Carlile and more. Legendary Aussie artist Brian Cadd, ARIA Hall of Fame Inductee, will be playing songs from his fifty year career on day one of the festival. A few artists on the 2019 lineup, like Santana, Canned Heat and John Fogerty of Creedence Clearwater Revival, actually played the original Woodstock back in 1969. Check out the full Woodstock 50 lineup below, and – if you’re keen to fly all the way to up state New York for this event – check out all ticketing details here. It’s all going down from August 16th – 18th. Two Door Cinema Club Drop New Single ‘Talk’LISTEN: Flume’s Mixtape Of New Music Is Here!